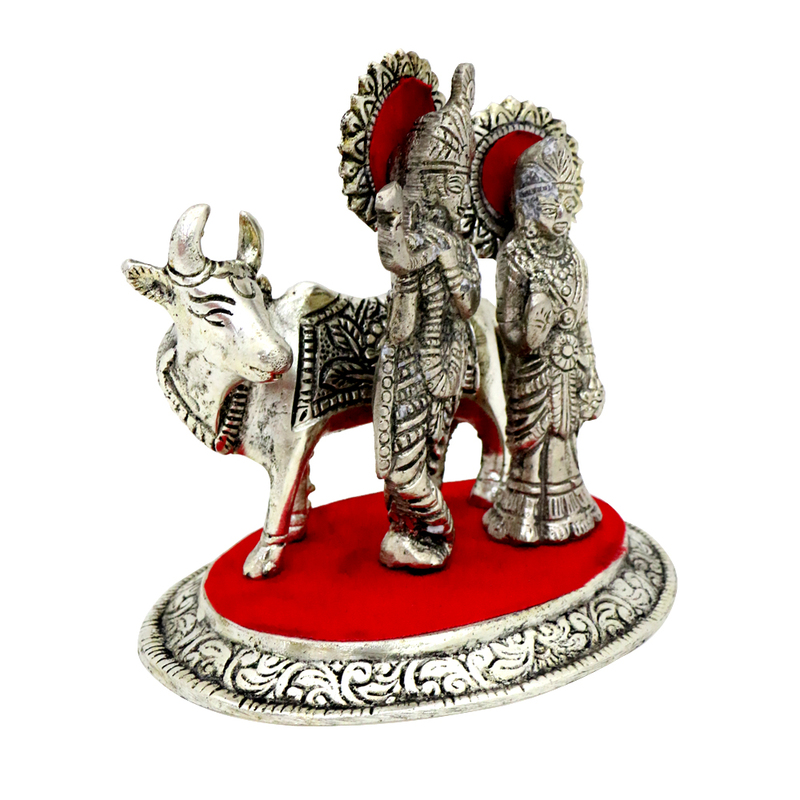 Handicraft ItemsOxidised HandicraftsRadha Krishna with cow statue in oxidised metal with base. 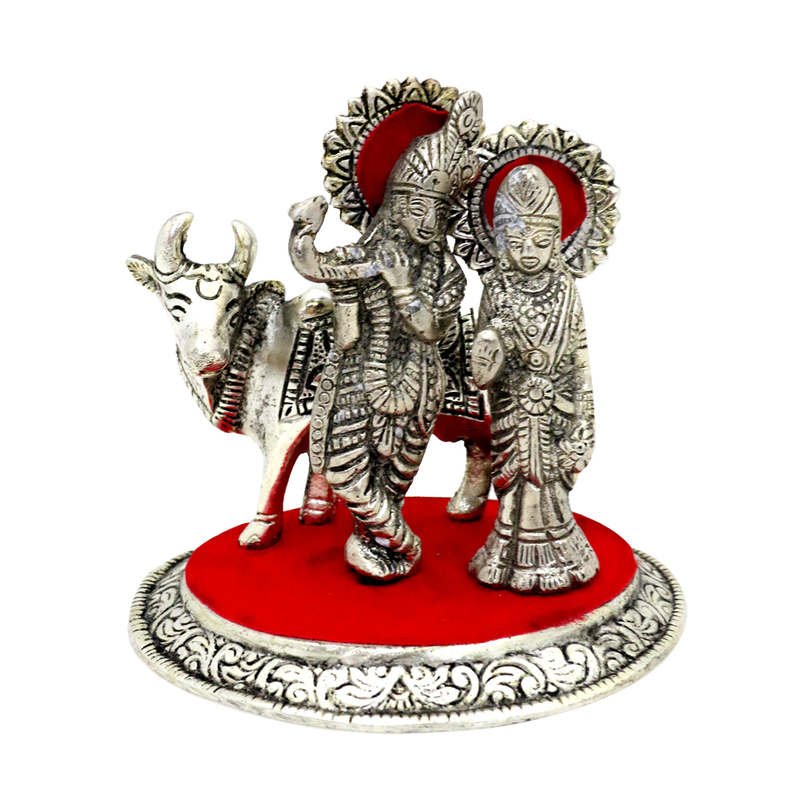 The radha krishna duo with the cow alongside is worth every buck you spend on it. It stands for love and is made with love Read More..to look perfect with all the details of the cow, krishna and radha on point to ooze the love and spirituality it so stands for. Show Less..